Every Thanksgiving is bursting with the best foods and recipes. 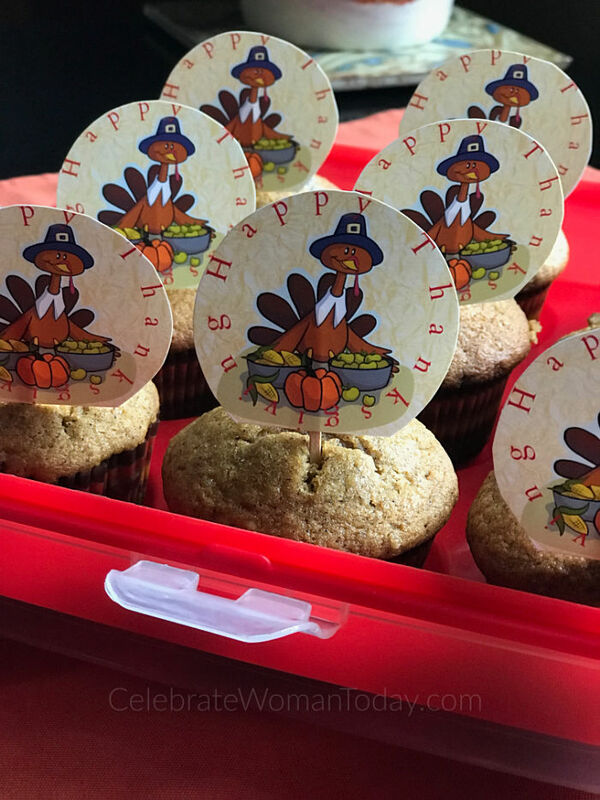 Here’s an easy way to add some thankfulness flair with FREE Thanksgiving Turkey Cupcake Toppers! Cupcakes are some of the easiest ways to share at the party. Why not add a festive touch to each cupcake to show that you care about the people receiving your delicious offering. 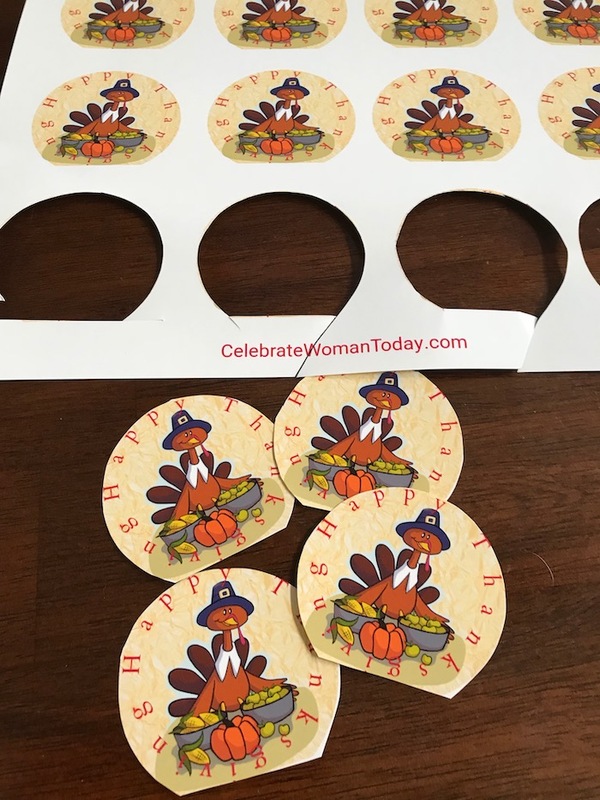 Add some creativity and use these turkey cupcake toppers as a confetti on the table, a tag on your leftover meal. 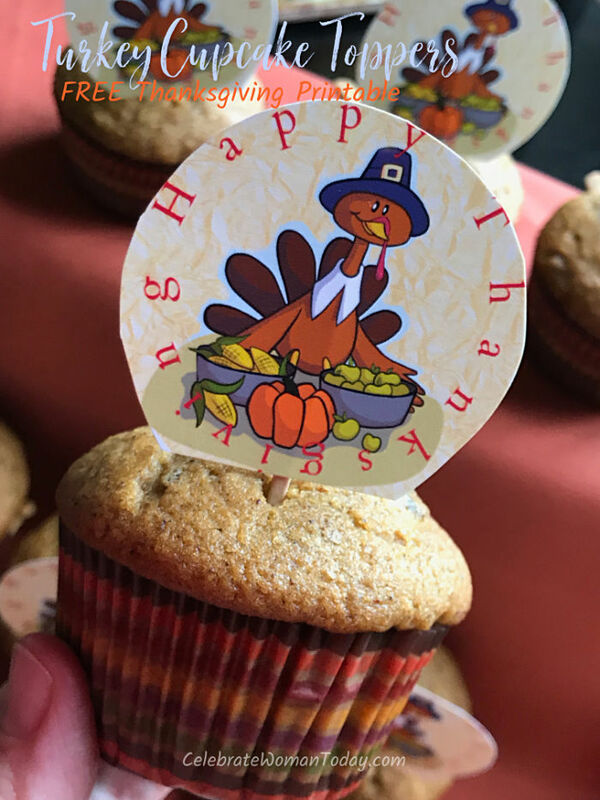 Whatever use you will find for this turkey cupcake printable – it’s gonna be just right! You don’t need to spend a ton of money to make your Thanksgiving dinner or party unforgettable. 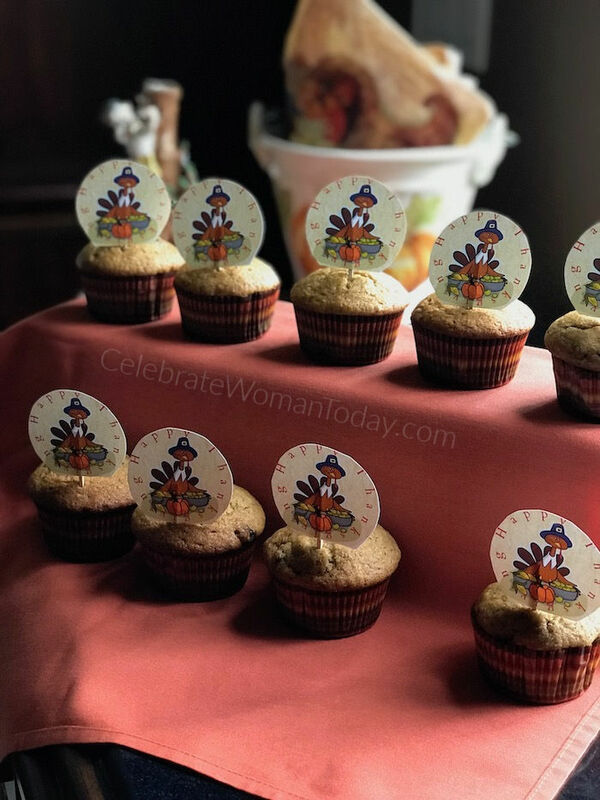 I learned from my life’s experiences that small details like these cool turkey cupcake toppers add to the emotional layer of your guests. You WILL receive “aahs” and “wows” from the party guests. Just layer your food, your table, your hospitable home with little somethings that make your evening, dinner, celebration stand out. And this easy to make turkey printable is one of them. EPSON is one of my favorite printers when it comes to creative crafts and labels! My Thanksgiving cupcake turkey toppers came out so bright and colorful! I chose presentation paper quality for printing them out. They are of the same thickness and quality as the cupcake toppers you can buy in the store. I am very pleased with my decoration prep! Superior photo quality — print stunning photos plus sharp text for eye-catching documents. Designed for productivity at home — 30-page Auto Document Feeder; auto 2-sided print/copy/scan; multiple media feeds. Creativity made easy — print on specialty paper (1) and DVDs; plus, borderless photos up to 8″ x 10″. Convenient, hassle-free features — use the large, intuitive 4.3″ touchscreen to view, edit and print photos directly from USB or SD card slot (2). Ultimate wireless plus Ethernet — print photos and documents directly from your tablet or smartphone (3); includes Wi-Fi Direct for network-free printing (4). Never run out of ink again – Printer features Dash Replenishment which, after activation, keeps track of your ink usage and orders more from when you are running low. I like to bake cupcakes of different flavors for my Holiday Season get-togethers and kids’ parties. My children help me with printing the labels and putting them on toothpicks. When the cupcakes are baked, my helping crew gets them all into cupcake containers and decorates with cupcake toppers. This project is a good way to get your kids involved as your helping hands! Besides the cuteness of the project, the children learn to appreciate something they have been a part of. Plus handling the tasks like cutting out the paper forms supports the development of fine motor skills in children. That means stronger neuron connections are formed when a child is involved in activities calling for beading, coloring, lacing, painting, cutting, helping in the kitchen with many cooking activities. One of the important things to do when children help us is to give them praise. 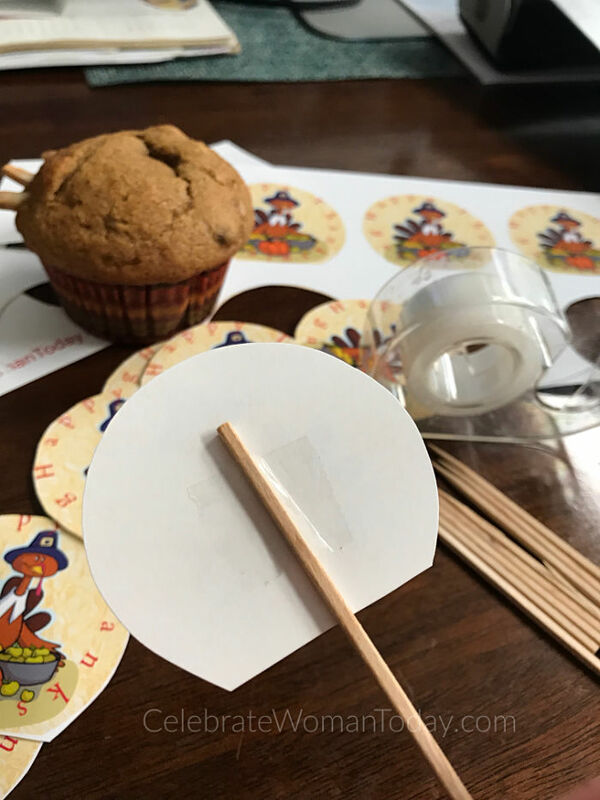 I love watching my kids figuring their way how to cut the turkey cupcake toppers, how much scotch tape allocate to hold each topper on a toothpick. 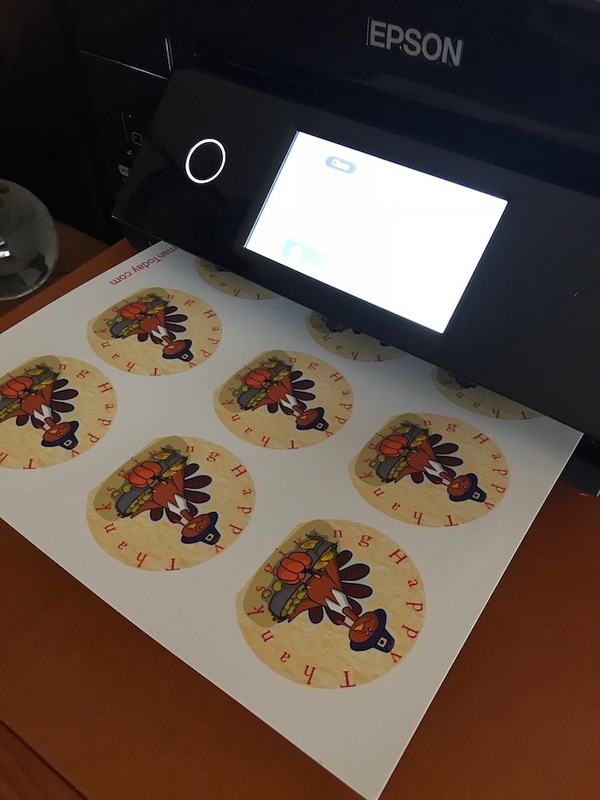 I print a few sheets of these colorful turkey cupcake toppers to make for more than one batch of cupcakes. I display these cupcake toppers from the cupcake printable in my kitchen by situating them in small cups. Make someone’s day by presenting them with one of your delicious desserts! 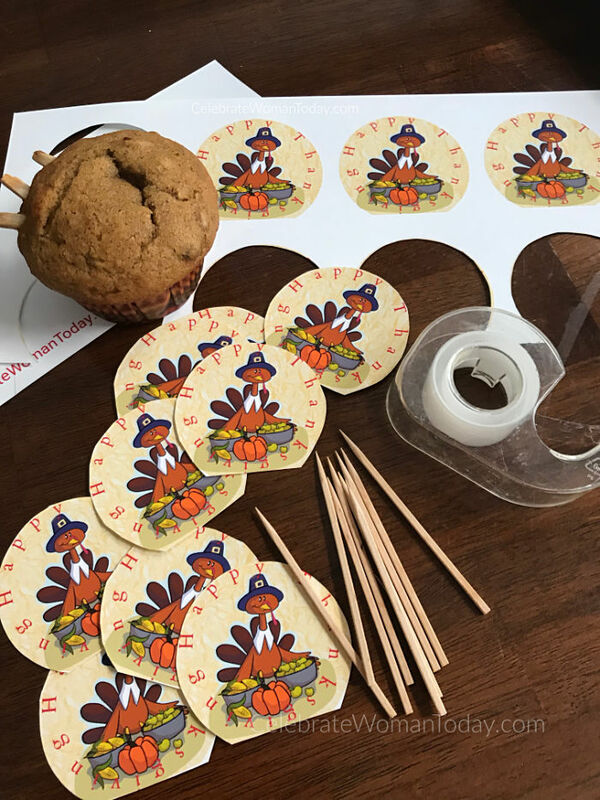 Get your FREE Thanksgiving Turkey Cupcake Toppers and start your seasonal celebrations with more color, more fun, more time spent with your children and family. 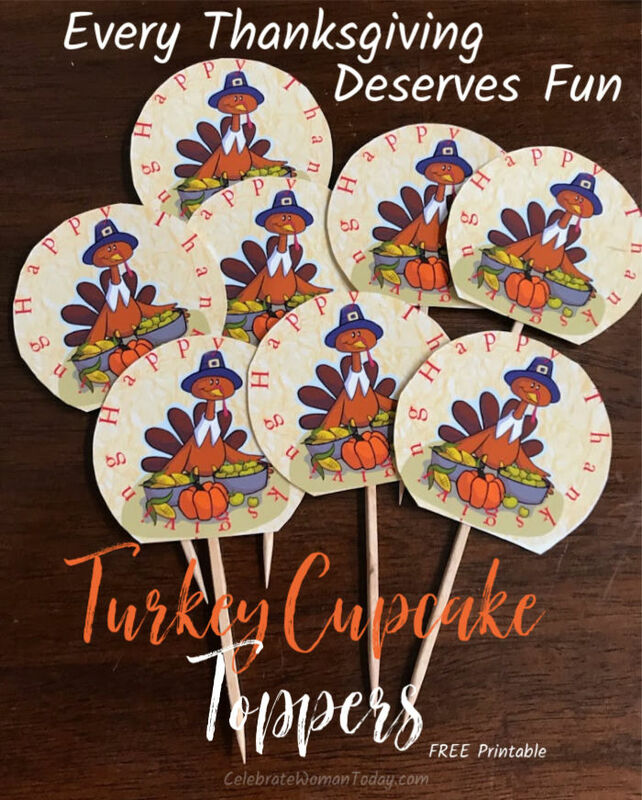 Click on this link to subscribe and receive a FREE Thanksgiving Turkey Cupcake Toppers Printable for your Thanksgiving DESSERTS! Thank you, they are cute . Free is wonderful. These are So Cute! Thank you for providing them! Thanks for the ideas. These are very cute. 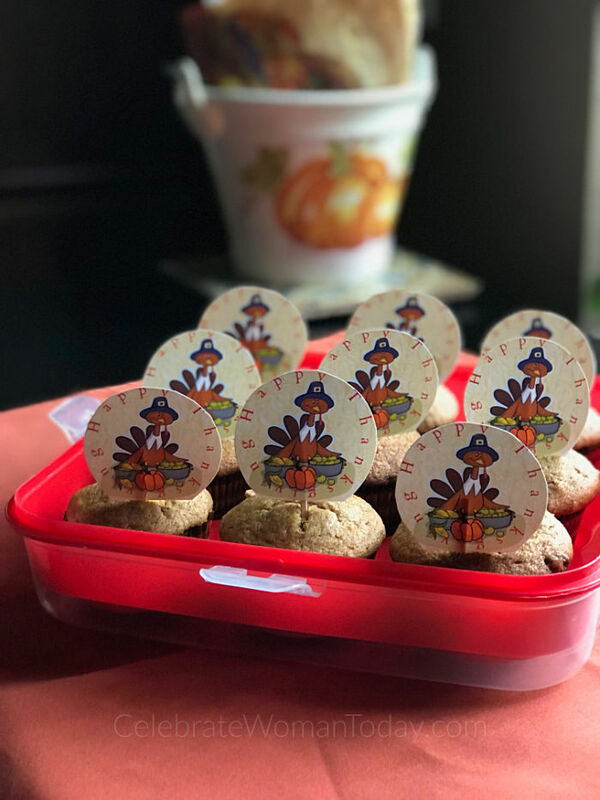 The cupcake Thanksgiving turkey toppers are cute. We had pumpkin pie for dessert this Thanksgiving. It would be cute to make printable toppers for Christmas next month. Really cute idea to make Thanksgiving even more festive! These are so cute! I wish I’d seen this earlier. The kids would have loved these. I’ll have to save it for next year. I love this! A good way to add that finishing touch and bring the holiday more to the forefront. 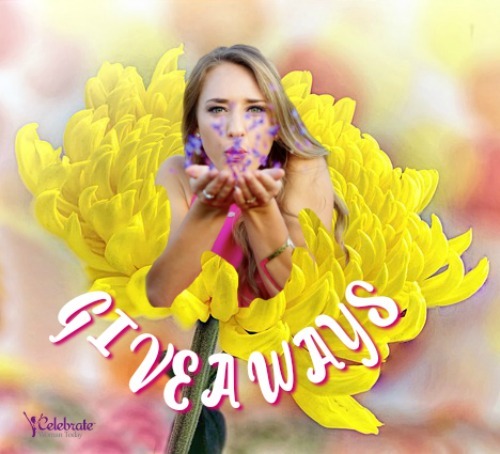 I have 2 Epson printers and love them as well, they do a great job! And these cupcake or muffin toppers are super cute! These are so cute! I will have to print and save them for next year since I am a couple of days late finding these. Thank you for sharing them! Couple of days late for this year, but a cute idea. What a fun idea to make cupcakes more festive! These are so cute! 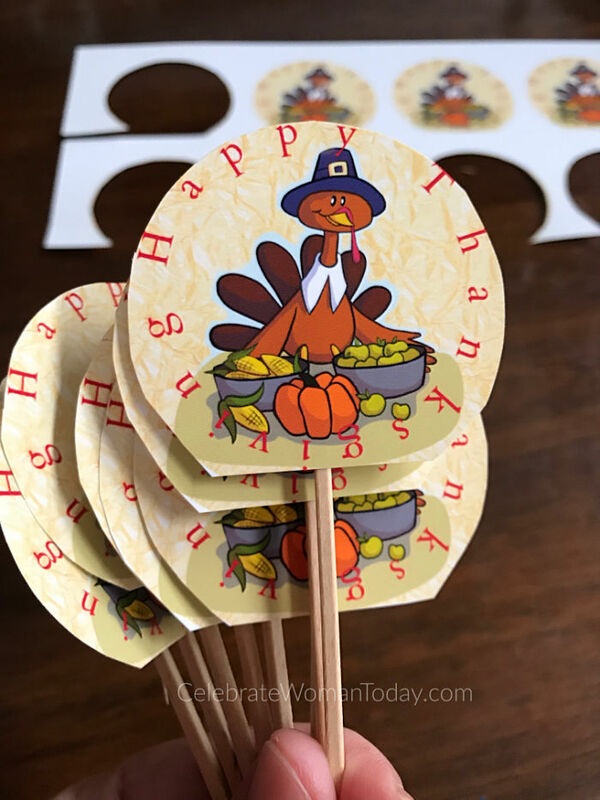 These are so cute and easy to make to add a little something to your Thanksgiving. Very clever. These would really perk up our cupcakes! I sure wish this was around when I was entertaining big time, too cute! These look really good and are super cute and super clever. My granddaughters would love these to go on our Thanksgiving cupcakes. These are too cute. Thank you for the printable. These are so cute! The children in our family will love them! Those are adorable! Thanks for the printable!